At the Geneva Motor Show yesterday I met Dr Christian Kunstmann, who is the Assistant Chief Engineer for Electric Vehicles at General Motors Europe. Kunstmann has been deeply involved in the development of the Ampera, GM’s range-extended EV (which debuted in production form at the show), as well as various other electric car and fuel-cell projects. 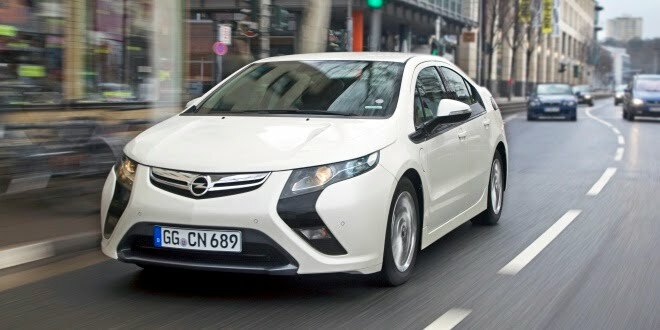 Me: The Ampera’s underlying Voltec platform has a drive motor, motor-generator and an internal combustion engine that can be connected in various complicated ways. This has led to some squabbles about whether the Ampera (and the Chevy Volt on which it’s based) are proper electric cars or better thought of as hybrids. What’s your view? CK: I don’t care about labels. From a functional point of view there’s no major distinction between the different things you might call the Ampera. 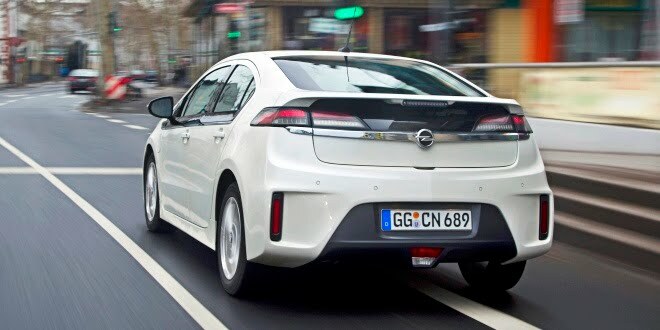 The important point is that for the first 40km to 80km it can function as an EV, whereas a hybrid consumes fuel as soon as you ask for a certain level of speed or acceleration. 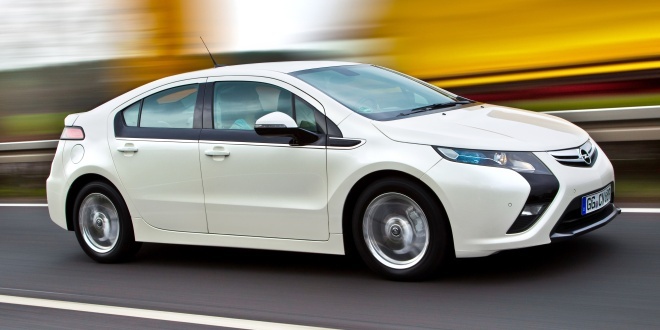 The Ampera gives you the choice to not burn fuel at all if your journey is within the battery’s range. Even if you have a plug-in hybrid, there’s a distinction because of the size of the motor. For full performance, a hybrid by definition uses both electric and internal combustion motors. Whereas we have a bigger drive motor that can do it all on its own. Me: You are involved in the MeRegio project, with a battery-electric Meriva. Can you tell me a little about that project? CK: We want to have a broad portfolio of vehicles, so we are looking at range-extended vehicles like the Ampera, as well as fuel-cell vehicles like the HydroGen4, and also pure electric vehicles like the Meriva. 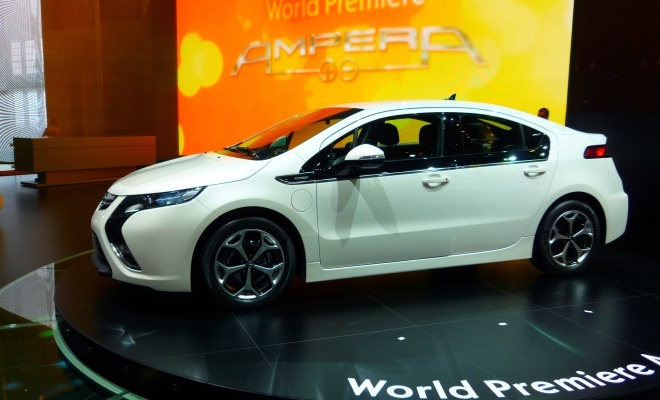 The Ampera was first to go into production but we’re still working on the others. The MeRegio project has a challenging set of requirements because we are looking at vehicle-to-grid integration. The project’s focus is on the home, not the vehicle in particular, so the car is integrated into the house logistics. This allows us to optimise the charging times and eventually to have bi-directional operation, where the vehicle battery can act as a storage reservoir for the electricity grid. The utility companies are highly interested in this concept – in using it to smooth demand – due to the excess capacity they have during the night. If some of the capacity can be stored in vehicle batteries and brought online at peak times, that’s a very attractive proposition. But it has to be integrated into a wider set of requirements so your car is always charged when you need it. We are also looking at things like 3-phase charging. And power line communication – using power cabling to carry data between the car and the house. The connection is there, so it makes sense to use it, rather than to add something like Wi-Fi. Everyone needs to agree standards for things like this. One company alone cannot do it. Me: There’s a tremendous groundswell of interest in electric propulsion from major car makers, which has to be good for things like research into better batteries. How quickly do you think batteries will improve? CK: Let me ask you, in what areas do you think they need to improve? Me: I think energy density is the biggest issue – the amount of charge you can store for a given size and weight of battery. Plus the sheer cost of lithium-ion cells. CK: Well, lots of people are dreaming about better batteries that will let you drive 600 miles and recharge in five minutes. Even if those batteries do come along, I don’t see an equivalent miracle happening in energy transport. When you fill up with 60 litres of petrol you have put 600kWh into your car in two minutes. That’s an energy transfer rate of 18 megawatts. You can’t do that with a battery car. Have you seen an 18-megawatt cable? It’s this thick [he cups his hands into a circle about six inches across]. So the battery is not the choke point. Getting the power into the battery is the problem. Me: If 18MW is not feasible, where do you think the upper limit for charging lies? CK: 100kW to the car is reasonable. But a 600-mile battery, even at 100kW, is still going to take hours to recharge. That’s why we think the Ampera is a more practical proposition for a long-range EV. But as more people try EVs, they will become more aware of how much range they really need. Me: The electric Rolls-Royce that’s on show at Geneva today uses inductive charging, and I know there are various plans to trial charging an EV while it’s on the move, by burying induction cables in the road. Do you think this approach has promise? CK: It’s a pipe dream. The only cost-effective application I can think of is city buses, which take a predictable route and stop in predictable places. 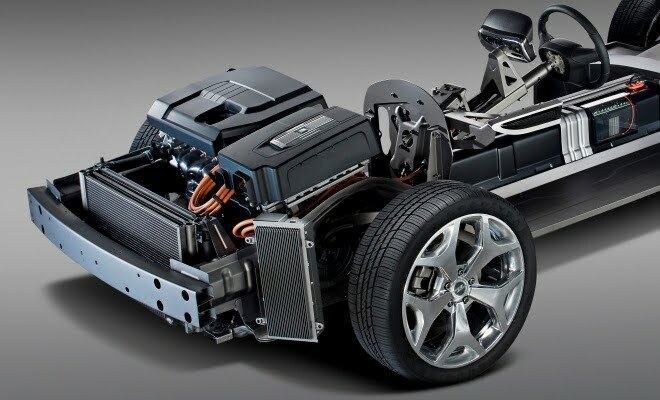 Me: What about battery swapping – the Better Place model that Renault is backing? CK: We have studied this: it may be interesting in specific geographical areas. If it helps to promote electric mobility it’s a good thing. It may make sense for some, but if I look in my crystal ball – I think it will go away.